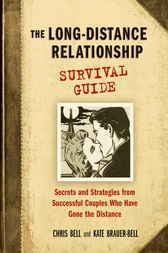 Based on interviews with more than 100 couples and packed with knowledgeable tips and honest advice, THE LONG-DISTANCE RELATIONSHIP SURVIVAL GUIDE proves that, with patience and dedication, a loving relationship can not only survive but also thrive across the miles. Chris Bell and Kate Brauer-Bell fell in love in Cincinnati, a few weeks after Chris had accepted a job 500 miles away, thus beginning 19 months of phone calls, emails, and countless trips by car or plane. Married since 2003, they now live together in Maineville, Ohio, with their son, George.